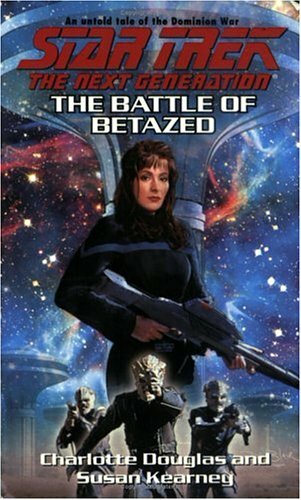 In the darkest hours of the Dominion War, as the Federation's downfall seemed ever more certain, Jem'Hadar and Cardassian forces conquered Betazed, the homeworld of Deanna Troi. Their victory sent shock waves through the Alpha Quadrant, and put the Dominion within striking distance of Vulcan, Andor, Tellar - and possibly Earth itself. To secure their position in the very heart of the Federation, the Cardassians begin constructing space station Sentok Nor in orbit of Betazed. The station is to serve as both the seat of the Dominion occupation and the site of horrific experiments by Cardassia's foremost exobiologist, the infamous Dr. Crell Moset. With Starfleet's forces spread too thinly in the ongoing struggle to retake Betazed outright, the U.S.S. Enterprise, along with some old and new friends, is deployed to carry out a dangerous and desperate plan. But no matter what the outcome, the consequences could alter Betazed irrevocably, forcing Deanna Troi to choose between her world's survival and its very soul.